Wendy’s latest book is FALL OR FLY, about adoption and foster care during the Appalachian Opioid Crisis. Listen to the podcast here. Wendy Welch was named New River Gorge Writer in Residence for 2018! Read all about it here. One of the people on the left is Wendy Welch, and the other is her husband Jack Beck. It’s up to you to determine who is which. Yeah we figured you’d have no trouble. Bibliophiles are smart people. Writers’ Digest did an interview with Wendy in March that covered a lot of what people have wanted to know, so we’re reposting it here. Enjoy! I love featuring interviews with first-time book writers on my blog. It’s a rare treat that I get to sit down and talk with a debut memoir writer, but that’s just what’s happening today. Meet author Wendy Welch, who wrote the inspiring and fun book, THE LITTLE BOOKSTORE OF BIG STONE GAP (Oct. 2012, St. Martins). The book has been featured by People. Redbook, NPR, and many other media outlets. Wendy’s story is billed as “the little Virginia bookstore that could: how two people, two cats, two dogs, and thirty-eight thousand books helped a small town find its heart. It is a story about people and books, and how together they create community.” Publishers Weekly said “The whole narrative exudes enormous charm and the value of dreams and lives truly lived,” while Kirkus called it “An entertaining book with a full cast of eccentric characters.” Find Wendy online here. What is the book’s genre/category? THE LITTLE BOOKSTORE OF BIG STONE GAP is Memoir/Comedy and Books & Reading. Two bibliophiles with no retail experience set in motion a comedy of errors when they move to the Appalachian Coalfields and start a used books shop, just as the economy tanks and e-readers debut—and manage to build a community. The front room table of Tales of the Lonesome Pine Used Books and Café, in Big Stone Gap, VA, between customers. I was trying to make sense of all the silly, strange, sweet things that happened while we were setting up the bookshop. Having been a storyteller who stopped working in the arts, I was used to organizing my thoughts by narration, so I started talking to myself about what was going on in the store, then writing it down (after two or three strange looks from people in the cars next to me at red lights, or behind me on the walking path). That became the book. The draft of the book was about five months in the making, then working with my agent on the proposal was another two months. I actually wrote the book twice. First it was a “here’s how you run a bookshop” but the only agent who saw that draft said, “Don’t be a dinosaur. Bookstores are dead.” And when I told some friends in despair, they said, “You know what? You and Jack are really funny and fun people. Instead of writing ‘here’s how you do it’ why don’t you write ‘here’s what happened to us as we were trying to get it done’?” So I did and that was the five-months-work draft that Pamela, my agent, saw and liked right away. How did you find your agent (and who is your agent)? Pamela Malpas at Harold Ober Agency represents me, and she’s brilliant. A friend represented by her introduced us. I had queried 11 agents and received “let me see more” interest from two, when Cami Ostman (author of the running memoir Second Wind) out of the blue e-mailed that she’d spoken to her agent about my book and the agent would be up for a query. So I sent a polite and carefully constructed letter, and Pamela asked to see the manuscript, then asked me to call. 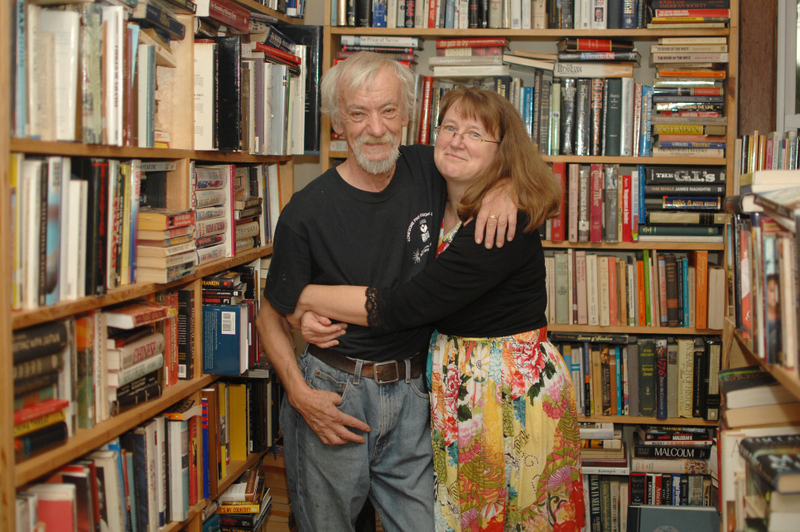 When Jack (my husband and co-store-owner) and I realized we’d need someone to watch the shop while we were gone at various book launch things, we asked around for a retired librarian or some such who would enjoy staying in our guest room for two months. We live above the bookstore. The shop is small and in a small town, and we had read about Shakespeare and Co., the bookshop in Paris that had students stay above it free in return for working there, so we cold-called two people – Kim Beatty, Goodwill Librarian on Facebook, and Robert Gray, a columnist with Shelf Awareness – to ask if they could help find someone for us. Kim put the info on her page, and the next day it had been shared some 200 times. Bob then offered to write a column, and that thing went viral. NPR called a week later and had us on Weekend Edition. A magazine in Sweden and two in France put a notice in their editions (and Jack still regrets not inviting the two Swedish girls who applied). The LA Times and several New York online publications picked it up. One of them called us “the last great job in America.” And the Huffington Post followed the whole story. Then SIBA offered to set up a shopsitting service for small bookstores like ours, because they said it was a felt need in the whole community, and we worked with them on that. It was just amazing to see the shopsitter thing snowball, when all we’d wanted was someone who would enjoy being here and not burn the place down to keep it going while we were away. So I guess that was the first surprise, in two ways. First, bookstores are not dead in the public imagination and interest, no matter what anyone says. And second, as much as one hears about how the whole publishing industry turns on money and fame and who’s bigger than who, suddenly here was this little silly story about a tiny bookshop and people were so happy for us and 158 people applied. That reaffirmed for me that sincerity, just doing your thing, and being yourself, is still a viable way to live AND to write. No one was asking anyone to sell their soul in a pact with the devil to get published. We were just living our lives, and suddenly a bunch of people wanted to be part of it. I think sometimes my publisher and the whole Ober agency laugh at my over-the-top stereotypes of Big Bad New York City. But then both my editor and agent are small town girls who transplanted to rise to successful careers in publishing, so sometimes we all laugh together. What would you have done differently if you could do it again? Worked faster and more steadily on the edits instead of procrastinating. I was holed up in a cabin with no Internet or phone the last three days before the final draft had to be in, editing like a mad fiend. That’s not as much fun—or as productive—as taking each day as it comes, getting the work done but enjoying doing it. I’d really found the writing, editing, marketing, figuring out how it all worked as a newbie process, etc. pleasurable until those three days. They were writing Hell. Did you have a platform in place? On this topic, what are you doing the build a platform and gain readership? As you’ve heard, I definitely didn’t. Although I had assets and resources to bring to a platform, I didn’t know what they were. First Pamela, and then Cassie and Kim (marketing and publicity, respectively) at St. Martin’s Press helped me harness what I had and develop what I didn’t. They taught me the value of Twitter and Pinterest (I was already a Facebook addict) and they kept e-mailing with little gems like “By the way, you’re going to be in People in October” and “buy a copy of Redbook this month; you’re in it” and “Your book is being published in Korea.” Stuff I hadn’t done diddly to get. They knew who was interested in a sweet, funny story about two naïve people carving a bookstore into a community, and they kept that interest going. For my part, Jack and I set up visits to about 20 independent bookstores around the Eastern seaboard and as far west as Missouri. People we knew in the business, or people who emailed in the pre-publication days to say how much they liked the book. And while we had a blast doing that, the horrible truth is that only about 3-6% of all books sold in America are sold via small independent bookstores. Jack and I networked and made friends and had a great time going to Parnassus and Winchester Book Gallery and Larry Bowen’s Reader’s Corner, but that’s our world. Cassie and Kim worked their world, and they worked it well. We’re under no illusions about which had more immediate results, but we like to think that we’re helping change attitudes toward saving money versus investing in community—both in retail and in publishing, if that makes sense. Jack and I believe in, understand, share with other booksellers (particularly those at Malaprops, who have been espousing this philosophy for 30 years) a belief in the power of small, community-oriented shops. A LOT of books about bookstores came out this season, and we hope we’re a part of keeping indies around. Two pieces of advice, and they’re intertwined. 1) Be yourself. That way if you do find someone interested in publishing what you have to say, it will be your voice and not a made-up person you feel trapped into being for the whole rest of the process. And if you don’t find someone to publish you, you can enjoy the ride, then self-publish with wisdom and a sense of humor and insider discernment. 2) Celebrate every step from your first draft through hunting the agent, through hooking a publisher, through editing and marketing to publication day. Not only is publishing fickle, but the world is a pretty random place; you never know what will or won’t happen tomorrow. When I finished the draft that ultimately became the book, we called over a dozen friends and had a “Wendy wrote a book and it’ll probably never get published but it was fun” party. And no one at that party, Jack and I included, really gave credence to anything happening after that. When I started querying agents, I didn’t have confidence. And then bang bang bang the dominoes fell. The party was in February, Cami emailed in April, Pamela and I worked on the proposal throughout May and June, then she put the manuscript and proposal out July 3 and on July 20 two houses were bidding on it. When I told the friends who attended the draft party, they were laughingly trying to hide how surprised they were. (And of course we had another party.) Cami, when she got Pamela as her agent, had an “I got an agent” party. Celebrate everything. The journey is more than just the destination. I have the world’s worst sense of direction. I can get lost in my own bookshop. Put me down two blocks from my city hotel in a straight line, and you’ll find me two hours later, wandering the suburbs. Almost anything with a strong female lead in period costume. www.wendywelchbigstonegap.wordpress.com is our blog and has the bookshop calendar, links to Jack’s music and the annual tour he leads to Scotland and Ireland, and other fun stuff. People are beginning to visit the bookshop from outside our region; they have lunch in our café and explore downtown Big Stone (which takes about an hour but is worthwhile, nonetheless!) and go down to Carter’s Fold or over to Barter Theatre and have a great weekend out. We’re enjoying meeting so many people from such varied lifestyles and places. Right now we’re just riding that wave, being in the moment, enjoying the visitors and also opportunities the book’s brought to participate in events like the VA Festival of the Book, the Whipporwill Festival in KY, library and bookstore talks, giving a writing workshop (the next one, WRITE COMES TO THE CUMBERLANDS, is in August and can be found on our Facebook page) here or there—fun things that start to fill up the calendar around daily obligations. Between and behind the busy-ness I’m writing, and when things calm down I’ll get back to working harder on it. (She said, smiling.) Honest. I’ve send you the book’s author head shot. Feel free to use it or one from here, as you prefer. Thanks! Looking forward to it. I had to write to say how much I enjoyed your book. We moved from CA to WV twenty some years ago and I could relate to your small town experience. A used bookstore opened here years ago, but briefly. It was really a romance book store. How disappointing! If your trips take you to Maine, there is a wonderful bookstore in South Portland. It sells a variety of books, new and used, a wonderful gift selection, cards, magazines. Every time I visited, I would visit. Oh, it is in the Mill Creek Shopping Center. At the moment, I can’t think of the name. Thanks again for a very enjoyable read. Cool! I haven’t been to Maine in about five years, but next time I get that way…. Aww, thanks! I love your bookshop name, and hope Vermont is cooler than Virginia right now! is the gig to bookstore sit still open? i’m interested!!! book author myself, inveterate book collector and, of course, reader, and even like dogs and cats! My husband and I both write and would love to store-sit as a couple. We love: books, animals, trees, rural Virginia, rural anyplace, and ice cream. I’m a retired University administrator and my husband is a retired psychotherapist. He is now beginning a new career as a gratis troubadour, singing and playing guitar and ukelele banjo. May we apply for this serendipitous opening? You’re welcome to apply! 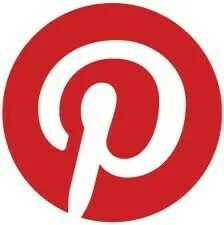 The info we’d like you to send is on Tales of the Lonesome Pine LLC on Facebook, and we look forward to hearing from you. Wendy, did you fill the position for caretaker of bookstore and pets for October/November? We did. Andrew Whalen is coming down from NYC. He’ll be blogging every Wednesday about his adventures as a bookshop sitter. Thanks for helping Suzanne today; I enjoyed reading about your book store and your books; lending your ears to people and their problems. I donate any book that I win to the local library for other readers to enjoy; it is sad that so many books are e-books as I like the hard copy. Ha! I wonder if you’re related to Hope Meade, who had the house. She is famous throughout Wise County for her dinner rolls, little knots of soft dough that melt in the mouth. Not that I know of, but I’ll pass the info on to a cousin of mine who is very into genealogy. Maybe she will be able to find out. I read your book and really enjoyed it. Live in Asheville and hope to get over to Big Stone Gap in the near future to meet you in person. We’ll look forward to it. I just finished reading your book. It was a wonderful story that I didn’t want to end. I love your writing style and your humor. Hey, thanks! While the book ended, the madness here continues on a daily basis. I hope you saw our annual Christmas video card; scroll back a few days or search Christmas 2012 Lonesome Pine Bookstore on youtube if not. That’s kinda what it’s like here…. We’ll be up at your end of the state in March for the Festival of the Book; come say hi if you can. I don’t have details in front of me, but it’s Friday afternoon at the library toward the end of the month. Wendy my Grandparents lived in The Gap on Poplar Circle. Toy and Edith Hayes. My happiest memories growing up were spent there. My daughter bought me your book for Christmas. I am so excited. I still have friends that go back to the Gap for reunions etc. Big Stone was and I am hoping still is a wonderful place. I haven’t been back there in many years but hope to someday. Good luck with the book and bookstore. I am about half through the book. Very good. Got a warm feeling when you talked about the outdoor play. Saw it many years ago. Wonderful. Use to go to dances at John Fox Jr house. My Mom, who grew up in Pennington Gap, gave me your book yesterday saying “I don’t know if you’ll like this…”. I just finished it – Wonderful! Reading your book now, Wendy; I too own a used bookstore — mine is at a seasonal market, The Windmill Farm and Craft Market in Penn Yan, NY. Even through I am not a farm (I do live on one) or a craft (love to cross-stitch, but I can’t see that well anymore), I have thrived at the market for 21 years. I love my little store; I was a journalist in New York’s Finger Lakes for 26 years (ran the store at the same time for 19 of them). I look forward to reading the rest of the book, and now your blog. I hope that we get to be good friends. I know how to crochet — haven’t done it in years and years. Hello good read friends. I am new to this blog and have enjoyed this new adventure thus far. Wendy, I am new at writing and excited to come across your blog and page. Why, this is the kind of interaction I need to keep me motivated with my crafts and writing projects. I would like a copy of your book, please direct me where to purchase one. Thanks, Kathy. Your local independent bookstore will be carrying it, or happy to order it for you. If you don’t live near a bookstore, Powell’s Books has it online, as does The Strand. (Google either of them.) And if all else fails, it is selling briskly on Amazon. Hi Wendy. I’m interested in interviewing you about the book. You can email me at chuck.sambuchino at fwmedia . com Thanks! I will check out the local barns&noble store for your book I am excited about reading it. I am also a fan of Adrani who wrote books about the locals. Just read your book after finding it at the local library. I loved it, and will recommend to friends. Our daughter lives in Baltimore, we vacationed in VA last summer. Next time we’re in the Commonwealth, we’ll definitely stop by! Hi Wendy. I’m working on the upcoming issue of Smoky Mountain Living magazine, and our writer has included a review of Little Bookstore, with a bit of background about you, Jack and the shop. Is there any way I could have a photo of the two of you in the shop to publish? Thanks! I was just searching the database idly with a purpose and ran across your absolutely hysterical zodiac. I am one of Allen Drury’s nephews, and you may be interested to note we are bringing some of his books out shortly. If you send me your business contact at allendruryproject@gmail.com, I will make sure you get the info. You hit the reads non-fiction mainly on the head, but he based so much of his work on history that he read a lot of that. Also, he was afraid of plagiarism charges. Your cormacites might not laugh, but Al loved to laugh until he cried. Oh, that’s a hoot! Thanks, Kenneth! I knew I was bringing your book home with me, from the moment I glanced at its cover in a bookstore in Lisbon, and it seemed to have been divinely placed there, specially for me. I had just left my toxic corporate job the day before, to chase my own wild dreams and one of the craziest ones has long been opening a small bookstore and arts/local community café, from an old restored historical house in the small conservative town where I live, with no experience in the matter… pretty much in the same way you did. It was a lovely, exciting read all the way through, and amazing to find so much in common, not only the love for books, reading, and writing, but also the love for people and their stories, your connection to celtic roots which speaks dearly to me and the practice of a simple, sustainable, community centered way of life, and most importantly, the spiritual integrity of not renting the space under your skin. You and Jack are to me examples of those rare people mastering the art of living in wholeness with oneself and one’s place. Thank you for allowing me to share this journey with you as your reader. It has been so heart warming to find myself inside The Tales of the Lonesome Pine bookstore everyday. It has brought me amazement and inspiration, laughs and tears, together with helping me believe that one day I too will be living my own dream… and writing about it. Carla, so good to meet you! We had our tenth wedding anniversary trip in Portugal, in the Algarve district, and have a vague plan to return there next year and visit some of the bookstores. We’ll let you know what comes of it, if you keep up with us? Did you open a bookstore? I’ve enjoyed your book so much. After recommending it to friends, I’ve also reviewed it on my blog: http://www.readwithenthusiasm.blogspot.com. (Jan. 27, 2014) Thanks for allowing all of us to live in Big Stone Gap, if only in our dreams. Thanks, Barb! I enjoyed the blog! Wendy, I am only on p. 16 of your book, and I have already planned a trip to visit the bookstore!! I also need to ask you about my Billy Whiskers books (I have 24)–like, would you be interested in buying them? If not, could you tell me where a good market for them might be? Billy Whiskers? I’m not familiar but let me know when you’re coming and we can talk strategies. Wendy, I had the privilege of sitting next to you at an Bookmarks event in Winston Salem a few months ago. Been deep in the process of building the LAST HOUSE EVER ever since so just now writing to thank you for being so nice in person, as I thought you would be after reading your book. We discussed a writing project of mine and you said having the right agent was the key to getting published. Do you share the name of that agent? Hi Marcia – I can give you the best advice ever for getting the right agent, because the right agent is different for each person. Go to a bookstore and look at books that are like yours. (First subset of good advice: if you can’t identify the genre or audience for your book, no agent in the world will talk to you.) Read the acknowledgements section of these books and look for the names of their agents. Get online and find out if they accept unsolicited queries, and what their guidelines are. Query 10 at a time. This really, really does get you the right agent for you.GOOD LUCK! Let us know how it goes, eh? At the age of 57, I am finally opening my/our own bed and breakfast, for the same reasons you and Jack opened your bookstore. Many would say it’s in the wrong place–in a tiny town far from any metropolis–but we believe it will fill not only the real need for overnight accommodations in a warm, beautiful, lovely place, but also the need for a great third place in our little community of Farmington, Iowa. The porch is 10 x 35 and surrounded by trees and flowers, only a block from downtown. One of only two restaurants closed two weeks ago, so people need somewhere to meet friends, have coffee and conversation (and house visiting relatives), and perhaps play the baby grand just inside the front door. And yes, our house will be filled with books, in every room! We know it will evolve in the way it should, and for the first time in my life, I’m so EXCITED about my work! Like you, I never again want to “rent the place inside my skin” to anyone else. What a delight and source of great encouragement your book has been to me! My hope is that my husband and I will be the instruments for adding joy, laughter, and love to the lives of many. For us, it will be more than enough. Please come stay with us at “The Collins Bed & Breakfast” anytime after we open in late September (352-278-3191)–absolutely FREE, of course. *sniffle* You go, Elizabeth! And we’d love to come see Iowa this autumn. Have to be October or after, though – so much is on in September. Wendy, I am with the Ashe County Arts Council in West Jefferson North Carolina. We sponsor a literary festival called On The Same Page. It’s held the third week in September each year. This year’s events are ready to go, you can check it all our at the website, http://www.onthesamepagefestival.org. I am writing to see if you’d be interested in participating in the 2015 Festival (September 15-19). I can fill you in on all the details, dates, events, etc. if you’re available and interested. If so, could you send me your honorarium requirements? We’d love to have you! I’m trying to figure out why your blog as well as three others I follow, no longer pop up in my email to remind me that there’s a new writing. Do you have any idea why? Did WordPress do something? Do I need to do something to get that back? Any ideas? Thank you. Just finished your book. What a great story. Thank you for writing this memoir. I am reading your book and loving it. I hope to visit your bookstore on the way to Asheville one day. Thanks for the many hours of fun reading. I’ve long fantasied about owning a used book store but never had the funds or guts. Continued success to you and Jack. Thought I’d say hi from my little corner of Melbourne, Australia. I read compulsively and contentedly. My husband and sons will testify that I read at the expense of housework and cooking. I am an Australian of Chinese descent and spent the first half of my life in Malaysia and Singapore. I was employed in the book trade for over 12 years and can totally relate to your stories. That aside, the very people that populate your book exists in every corner of the globe including mine. Thank you for writing a book that brought such pleasure. Ps/ I picked up your book from my local library but am certainly going to purchase a hard copy for myself. I have 14 years old. I´m portuguese. But I whant to know if you have writen more books and actualy what do you do, because I have dificulty to understand if you are only in the library or make other things. Hi Diana – I am also teaching at the local college. I am so glad you liked the book! Do you plan to work in a library or bookstore someday? Love “The Little Bookstore…..” which is helping me get thru recovering from a bad fall. I bought a copy to give to my daughter who plans her cross-country trips by stopping at small bookstores. One of my favorite things about it is the wonderful friendship between you and your husband – how lucky that you found each other! I have to admit that I also read my Kindle, reason being that I can read it with the bedside light off so I don’t keep my husband awake! Sounds great Daria – I’ll call you tomorrow.